Looking for a PR Agency in Spain? 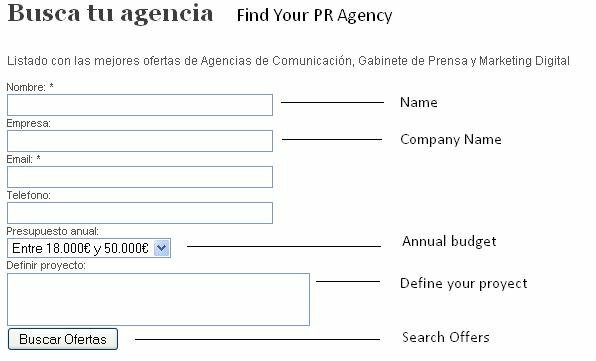 Find your ideal Public Relations partner through our Search Engine, the best tool to get the most relevant PR agencies in Spain, matched precisely to your needs. The Portal of Agencias de Comunicación is the national industry platform for public relations and communication professionals-agencies in Spain. It promotes all aspects of public relations and internal communications work, helping teams and individuals maximise the value they deliver to clients and organisations. B2B, B2C, Beauty, Consumer, Education, Financial Services, Food and Drink, General, Government, Health, Hotels, Insurance, IT, Legal, Media, Music, Property, Religion, SME, Sport, Telecoms and Mobile, Travel and Tourism.